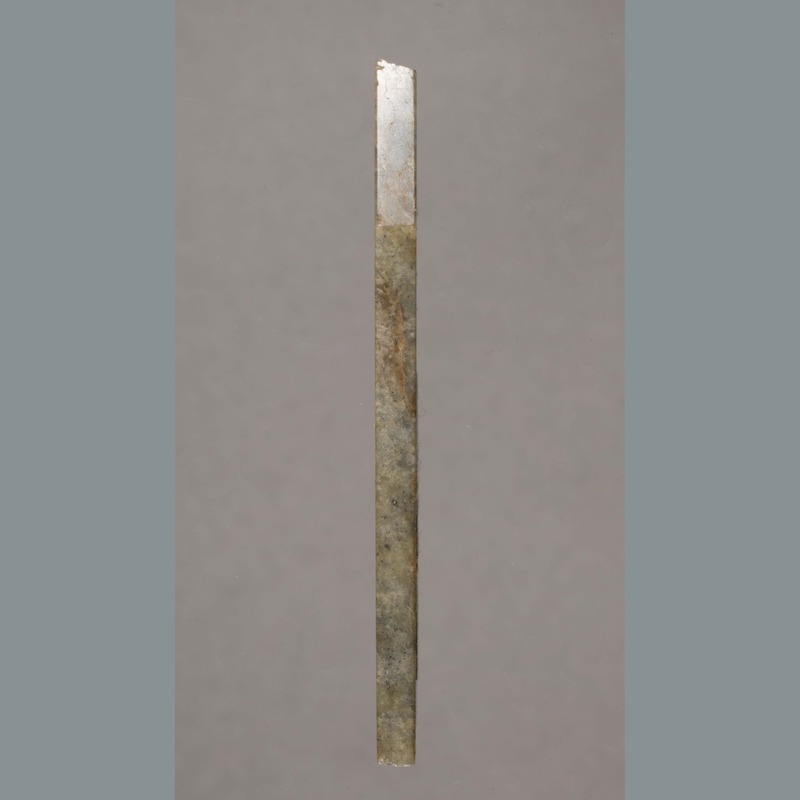 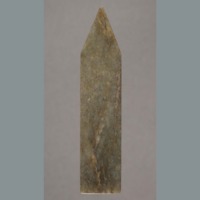 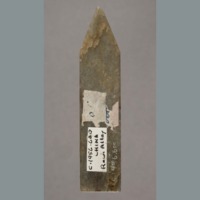 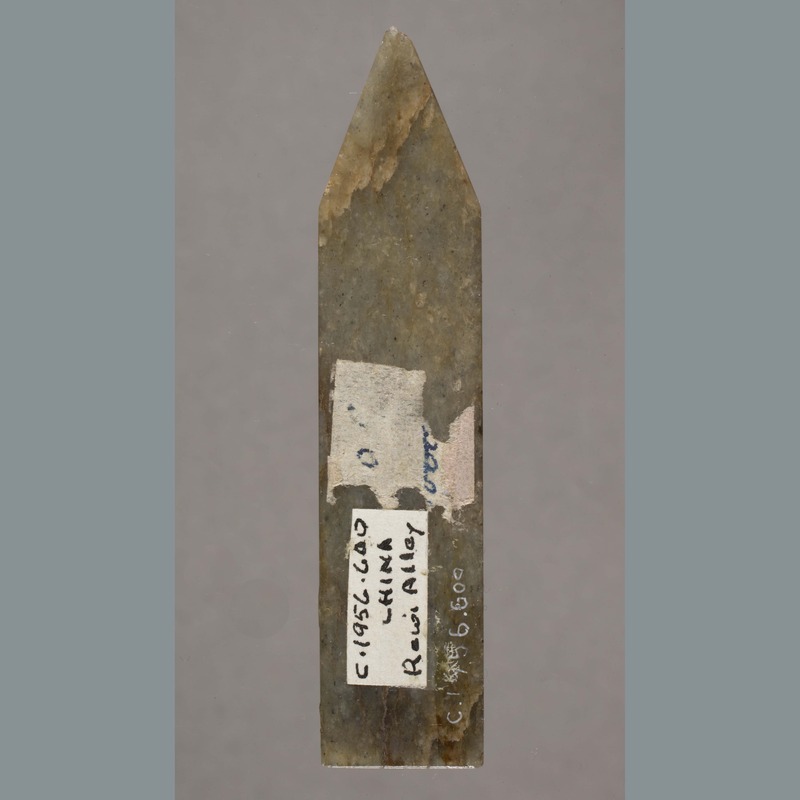 One elongated blade-shaped brown-green jade gui-shaped ornament squared off at one end and pointed at the other. 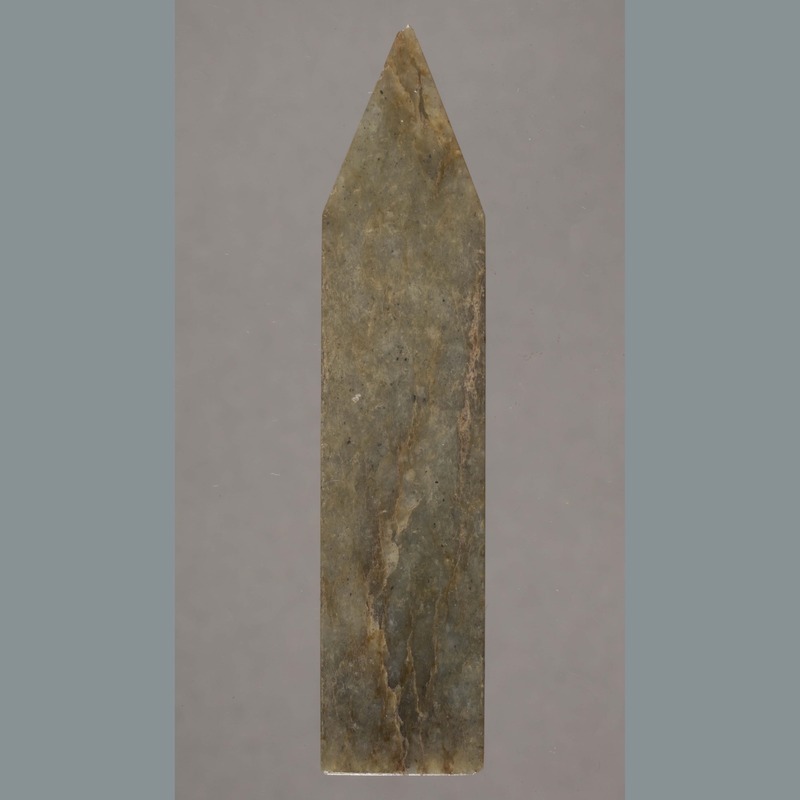 Darker brown-green vein. 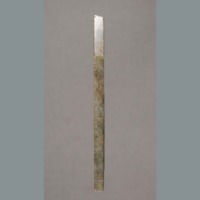 “Jade: ornament,” China, Art and Cultural Diplomacy, accessed April 22, 2019, http://rewialleyart.nz/items/show/1135.